Welcome From EWC President - Eastern Wyoming College - It's A Great Decision! 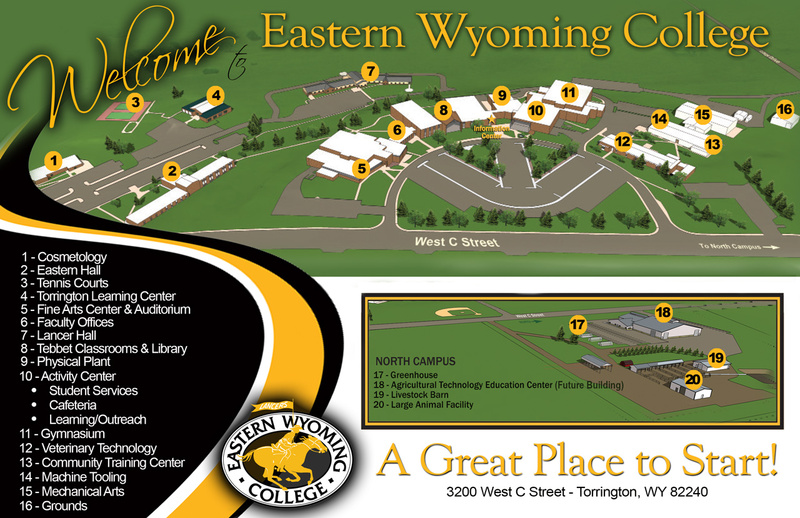 Thank you for visiting the Eastern Wyoming College website. On behalf of our incredible faculty and staff, I am delighted to welcome you to EWC. Since 1948 EWC has proudly served Goshen County and later five additional counties in Wyoming, providing quality education that is affordable and student focused. I would like to extend a personal invitation for you to come visit our campus whether you are a prospective student, parent, alumni, friend or community member. Whether your goals are to transfer to a four-year university, obtain career preparation, skill enhancement or to enjoy life-long learning activities, EWC has something for you. We have a long history of culture and diversity that takes pride in preparing students for a future they can count on. Our main campus is in Torrington, with another campus in Douglas and 11 outreach sites in Converse, Crook, Niobrara, Platte and Weston counties. Our small classes, great faculty support and safe college atmosphere prepare you for success. We offer modern housing and excellent facilities with many student clubs and great athletic teams. Whether you are just down the road or come from across the country, EWC is a great place to learn. Feel free to check us out; you will like what you see!